Two bangs for the buck here with no additional footwear applied. 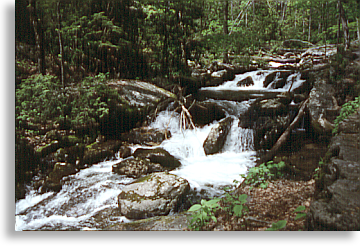 At the convergence of two creeks on the slopes of Tray Mountain are a twin set of waterfalls. Side by side and on slight angles you'll find the Curtis Creek Falls dropping 153 ft. and the York Creek Falls dropping 50 ft. and forming what is known as Anna Ruby Falls. A paved trail leads .4 mile. to the base of the falls. It's a relatively steep paved trail, but there are benches for resting along the way, a sight worthy of the journey. 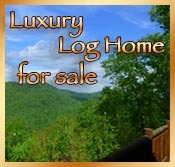 Directions: Go north from Helen on Ga. 75 for 1 mile. and turn right on Ga. 356 for 1.5 mile. Take a left at the entrance to the falls, this is a fee area with amenities such as bathrooms, visitor center, gift shop and a nature trail for the blind. Legend tells of piece Spanish armor found near the falls that possibly belonged to explorer Fernando DeSoto or one of his men, during their hunt for gold. 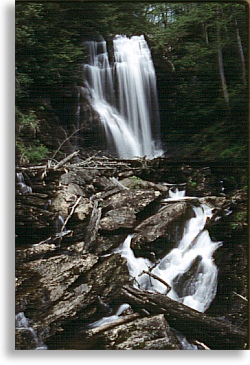 DeSoto Falls consist of five waterfalls located within a 650-acre recreation area. 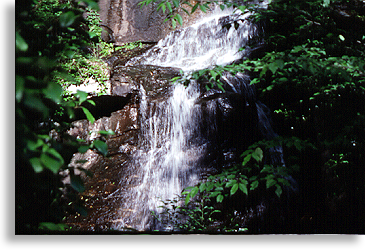 Three of the five waterfalls are along hiking trails that are maintained for easy access. The lower falls cascade about 20 feet. The middle falls drop 80 feet and is considered to be the most scenic. The upper falls drop 200 feet down a granite rock incline. Dukes Creeks Trail 1 mile. winds along the Dukes Creek Gorge, ending just across from the 300 ft. Dukes Creek falls. There's and observation deck at the top of the gorge, looking across the gorge and at the falls or you can hike down to the bottom of the falls. It's a well maintained trail but I would suggest the use of a walking for the journey back up. Directions: From Helen take GA 75 north for 1.5 miles, then turn left on GA Alt 75 (348) and proceed 2.3 miles to Richard Russell Scenic Byway. Directions: North from Cleveland on U.S. 19/129, approximately. 10 miles to U.S. 19, turn west on U.S. 19 approximately. 5 miles to Water's Creek Recreation Area and turn right. Drive 1.2 mile. and you'll pass a roadside waterfall on the right. Continue on another 1.6 mile. to the second waterfall and park in the lot to the right and take the path across the road for a more scenic view of the waterfall. Now take F.S. Road 34 for another .7 of a mile. to a logging road on the right before F.S. Road fords Crow Mountain Creek and park. The route to the waterfall treads along the logging road about .8 miles. The waters from this fall flows through a split in the face of solid rock and drops to the ground 100 ft. below. Behind the split, the waters fall approximately. 60 ft., passes through the rock face and falls another 20 ft. into a pool, then cascading another 20 ft. and into Dodd Creek where you'll find three more waterfalls. The largest one on Dodd Creek measures 70 ft. No facilities are provided and visitors should be cautious when using this undeveloped area. The trail is a 2.5 mile hike and is roughly maintained. Directions: From Helen...., turn left on GA Alt 75 (348) and go 3 miles to Richard Russell Scenic Byway, remainder is correct. Parking lot now has bathroom facilities.